Indian Navy Sailor Recruitment for 10+2 Candidates. - Jobs4NE : Jobs in Assam and North East India. 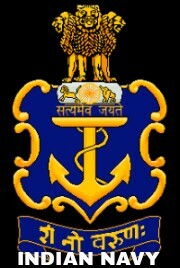 Indian Navy Sailor Recruitment for 10+2 Candidates. Indian Navy invited applications from unmarried Male Candidates of India and subjects of Nepal and Bhutan for Enrollment as SAILORS for Senior Secondary Recruits (SSR) - 2/2016 Batch. Educational Qualification : 10+2 or equivalent qualification with Maths and Physics, optional subjects Chemistry/ Biology/ Computers science. Pay : During the initial training period Rs.5700/-PM will be given as stipend, on completion of initial training they will be placed in the pay scale of Rs.5200-20200 + Grade Pay Rs.2000/- + MSP Rs.2000/- + DA. Selection Criteria : Selection of recruits is based on the order of merit on their performance in Written Test, Physical Fitness Test (PFT) and fitness in the Medical Examinations. How to Apply : For this entry, the candidates can apply ONLINE ONLY, MANUALLY FILLED APPLICATIONS WILL BE REJECTED. Print two copies of the online application form. One copy duly signed, alongwith attested copies of matriculation certificate, 10+2 marksheet, domicile, NCC Certificate (if held) & one self addressed envelope of size 22x10 cms with Rs 10/- stamp affixed on envelope is to be sent to the mentioned address in the advertisement. Write on the envelop "Online SSR Application-02/2016 batch & 10+2 percentage___".